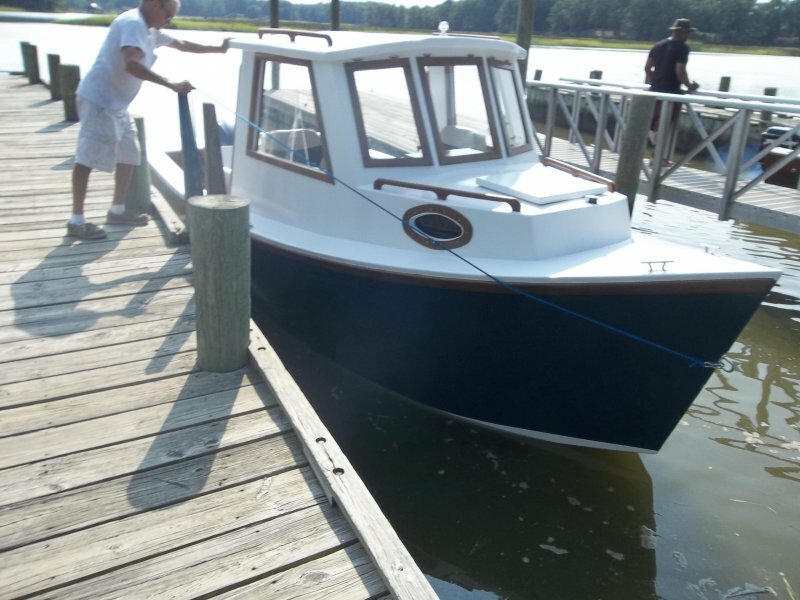 I launched my boat July 27, 2015, I started the build on December 4, 2014. I have 814 hours in the build. The boat performs very Well. I installed a new 70 HP Yamaha 4 stroke outboard with the command link instrument package. The boat reached 29 MPH at 6200 RPM. Getting 5.4 MPG of fuel. At 4000 rpm The boat traveled at 12 MPH getting 7.2 MPG. It planed out almost instantly when power was applied. It is a great little boat.The boat weighs 2144 lbs with motor, batteries and a full fuel tank. I installed 23 gallon permanent fuel tank under the front passenger seat.